Senior School girls are well-skilled and ready to excel in further academic and professional life. 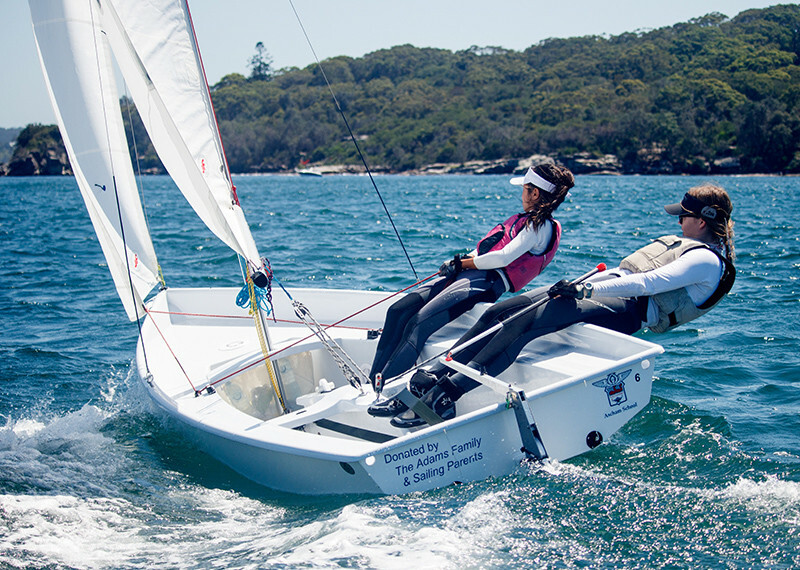 An Ascham girl will be prepared both academically and personally for the demands of the 21st century, with the unique benefits of the Dalton Plan to support her in further academic and professional life. During her time in Senior School, each girl will have the opportunity to fulfil her passions, develop essential life skills and build positive, caring relationships. 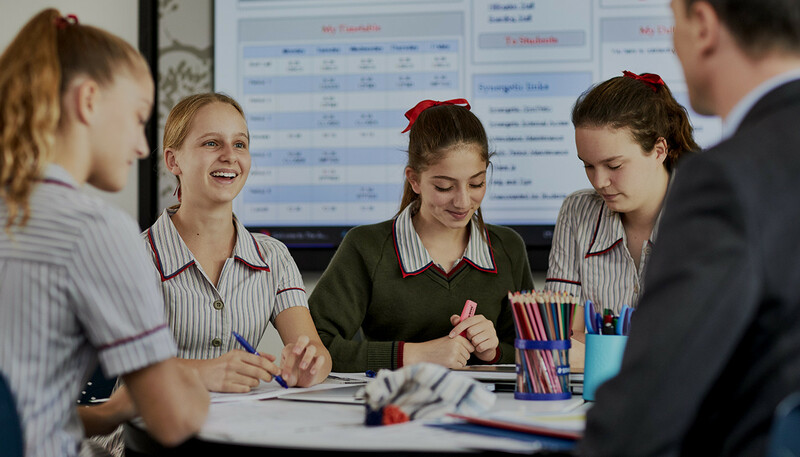 The development of an Ascham girl’s education in Senior School is shaped by the Dalton Plan, as she undertakes a rigorous course of academic study with the professional guidance of her teachers. 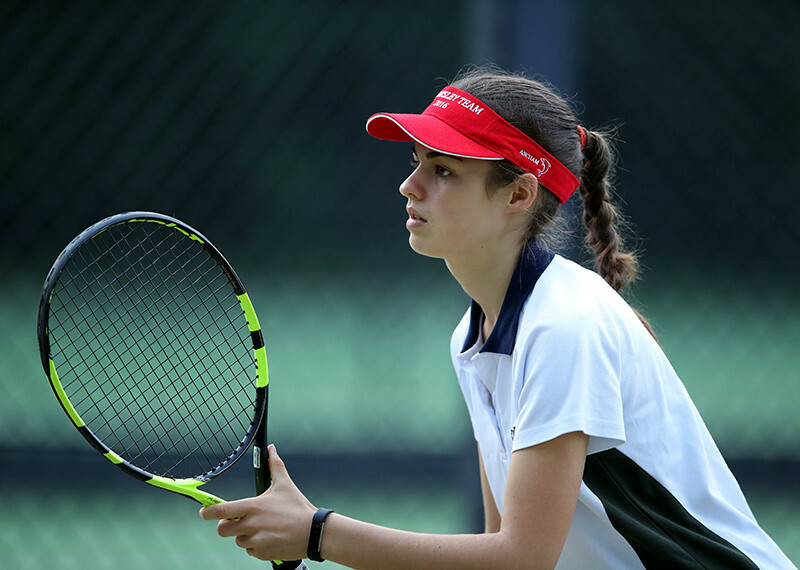 To complement their academic pursuits girls participate in an extensive range of co-curricular activities, enriching their overall education experience. From Sport to Community Service, Leadership and Exchange programs to Music, Drama and Debating, every girl will have the opportunity to fulfil her passions, develop essential life skills and build positive, caring relationships. Central to our guiding philosophy, we have a carefully-designed framework in place to support each Senior School girl and ensure their wellbeing every step of the way. 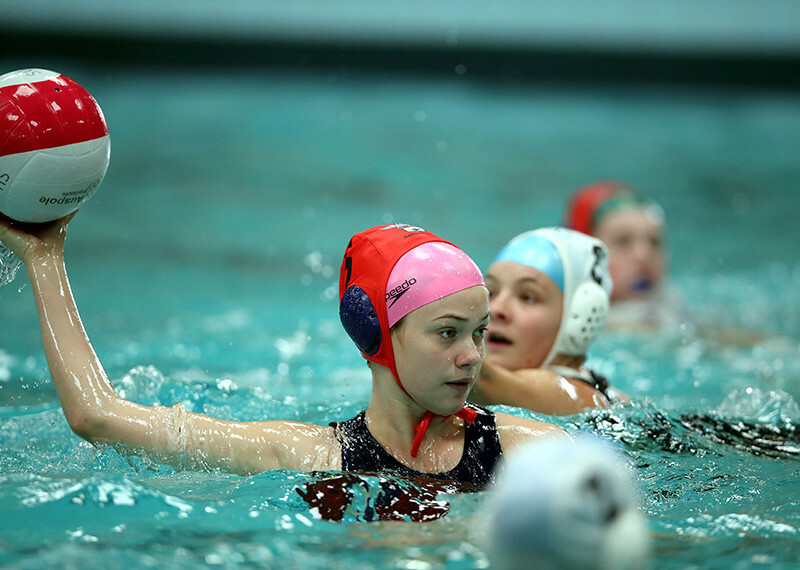 Regular class contact and individual attention allows girls to feel fully supported, recognise their abilities and grow into competent, confident young women. The Dalton Plan is at the heart of Senior School years. It guides each girl in expanding on her learning and provides great flexibility in her timetable to ensure optimum assistance at an individual or small group level. This approach fosters independence and responsibility for learning, while providing invaluable guidance and support from peers and teachers. Year 7 is when the Dalton Plan begins. Girls are guided and supported by teachers while they mature as learners, combining the Plan’s Lessons, Studies and Assignments with a strong academic focus. Depending on their Year level, up to half of academic periods will be in studies, working on the weekly Assignment either independently or with a teacher, individually or in a small group, with the remainder of the school day given to class lessons. 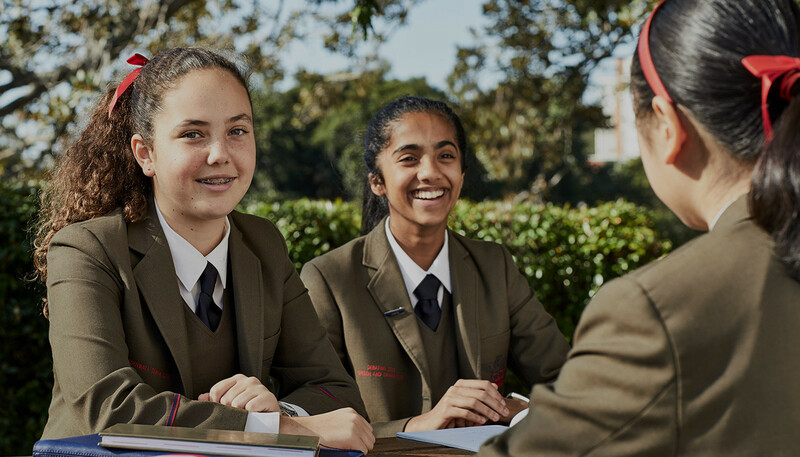 During their time in Senior School girls are guided to prepare for final examinations and tertiary study: through the Dalton Plan they will gain highly developed research and thinking skills, learn to meet deadlines, and be encouraged to pursue lifelong learning with passion. The flexible approach offered by the Plan means that students are able to change their weekly ‘study’ pattern to better fit with their examination timetable to ensure they are well-prepared, and as examinations draw nearer, lessons and studies are typically removed from timetables to allow students to focus more completely. 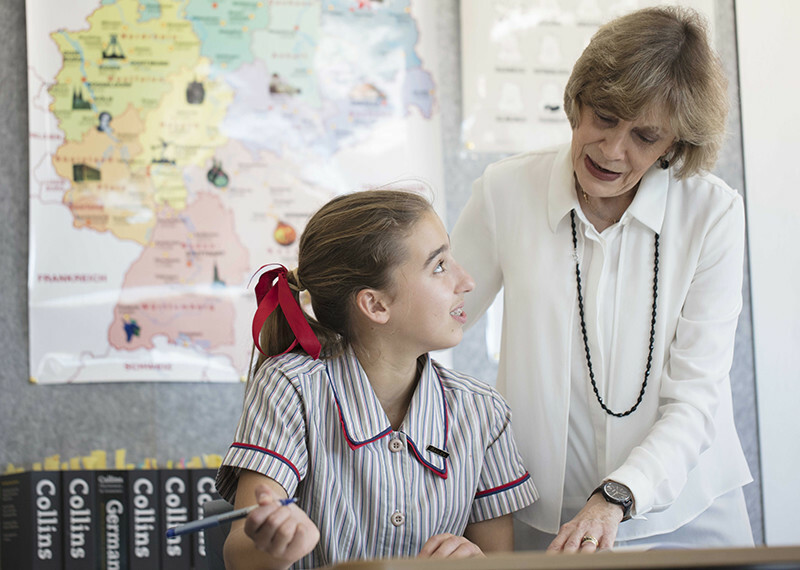 Ascham provides a liberal curriculum, with an intellectual approach to critical thinking and effective learning. 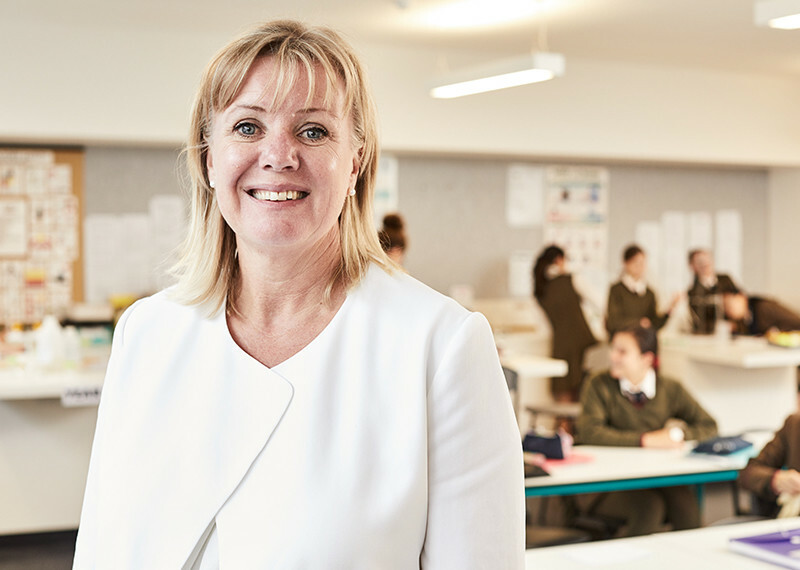 This is particularly appropriate in Senior School, where girls focus on developing a solid foundation of skills that will assist them in fulfilling their academic potential and provide real choices in tertiary courses and a rewarding professional career. of 2016 Year 12 students were offered entry into Universities. The teaching structure is supported with a range of tools including Critical Thinking and Study Skills. Critical Thinking helps girls to develop thinking behaviours that improve clarity, accuracy, logic and fairness. They are encouraged to question, understand purpose, challenge assumptions and predict consequences. Study Skills assist with goal setting and planning, summarising, writing and understanding concepts, and include examination study and technique. Senior School classes generally vary in size from 16 to 22 girls. In Years 11 and 12 these classes are generally between 10 and 18 girls. 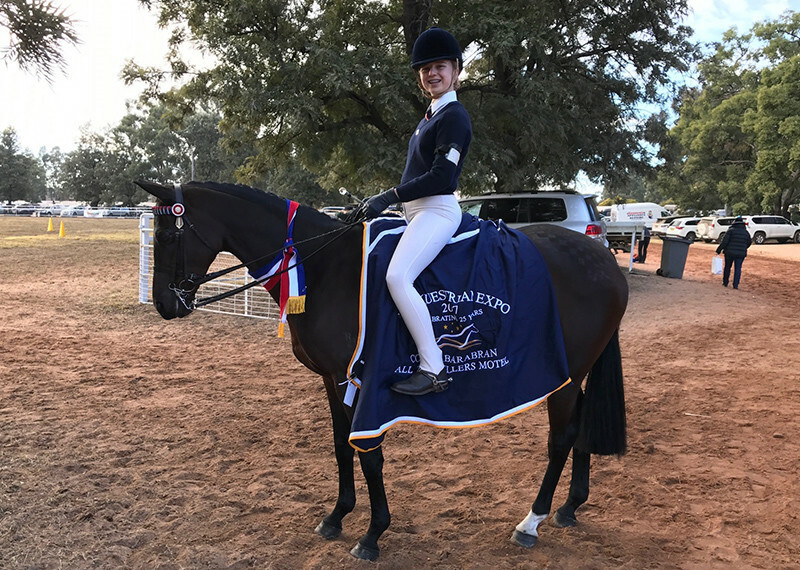 Girls are guaranteed their first choice of subjects, which are chosen from the NESA (NSW Education Standards Authority) HSC curriculum. The range includes an academically rigorous selection with a view to Australian and international university entrance. A wide-ranging program of enrichment coupled with holistic support provides girls with every opportunity to follow their passion for learning and be guided on the journey. Girls have many different talents and strengths. Where they may excel in one area, they may need support in another. The great benefit of the Dalton Plan is that it can provide holistic academic support for the individual girl through the regular interaction between student and teacher in Studies. Teachers know the girls well, understand how they work and through the Dalton Plan can help them at an individual level and in a focused, supportive manner. A structured introduction to Dalton is provided in Year 7, with ongoing individual support available as needed. Girls can talk to their teachers about concepts not understood in their lessons. Regular homework and constructive feedback help the girls understand where they need help. A fully integrated approach to technology, and adoption of STEAM (Science, Technology, Engineering, Arts and Mathematics) education means girls have more career options and the skills necessary to pursue them. 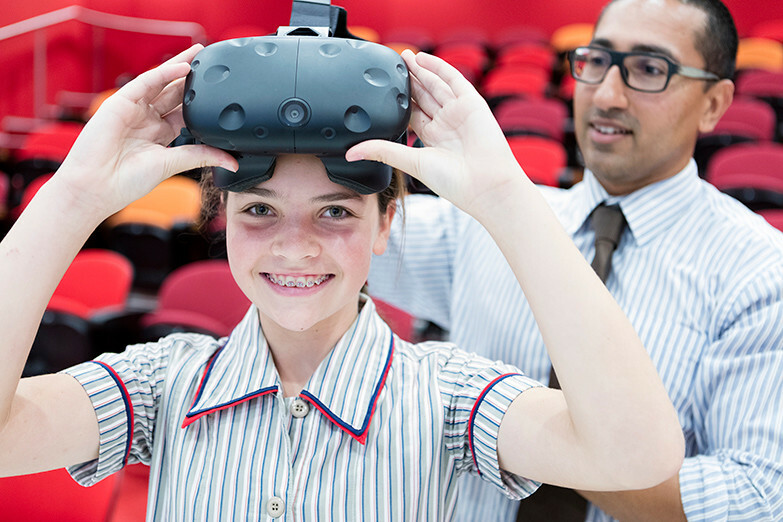 STEAM education in Senior School greatly increases careers options as girls come to the fruition of their Senior School education. It teaches the skills critical for a successful professional life – project management, problem solving and collaboration – and complements the Dalton Plan perfectly. Ascham provides a fully integrated learning platform, with many resources available either as enablers of learning through direct interaction or as learning aids. Senior girls are provided ubiquitous access to information, resources and learning opportunities. Girls can use their personal devices for online access to assignments and classwork resources, and engage with a breadth of materials to develop deep understanding of curriculum areas. The Ascham intranet – with an extensive range of information available including timetables, absence information, term dates, student notices, news and online forms. The girls’ wellbeing is of paramount importance to us and integral to the learning process in Senior School. Girls who are socially, emotionally and physically well are optimistic, have a positive outlook and are able to engage fully with their learning. Our Student Wellbeing Program provides focused emotional and social support, helping girls develop confidence in a safe, trusting environment. The Wellbeing Program is supported by the work of Professor Carol Dweck on developing a growth mindset and focuses on strategies to develop positive mental health as well as the importance of sleep and exercise. The Student Wellbeing and Management team and the academic staff provide an ideal learning environment for all girls, fostering their development and encouraging a love for learning so that they emerge with the skills and attributes essential for success in the 21st century. Girls are encouraged to become involved in a wide range of opportunities throughout the year. Real-life experiences in the service of others help improve self-assurance, challenge previously held beliefs and provide insight into community operations. Community Service: Activities include the Seniors TechConnect Course, Our Big Kitchen and the Darlo Play Centre. Girls have also undertaken community service for the Salvation Army, Lulworth House and Plunkett Street School. Girls in Years 10-12 have the opportunity to take part in the annual Service Learning trip to visit Ascham’s schools in Cambodia. Social Justice: The Social Justice Committee aims to build awareness of specific topical global events. Girls meet regularly to discuss creative and engaging ways to address issues such as discrimination and tolerance, indigenous affairs and fair trade. Charitable cause: Each class supports a charity through the year, raising money for and awareness of social justice issues. Supported charities include The Leukaemia Foundation, World Vision Australia and The Children's Cancer Institute of Australia. 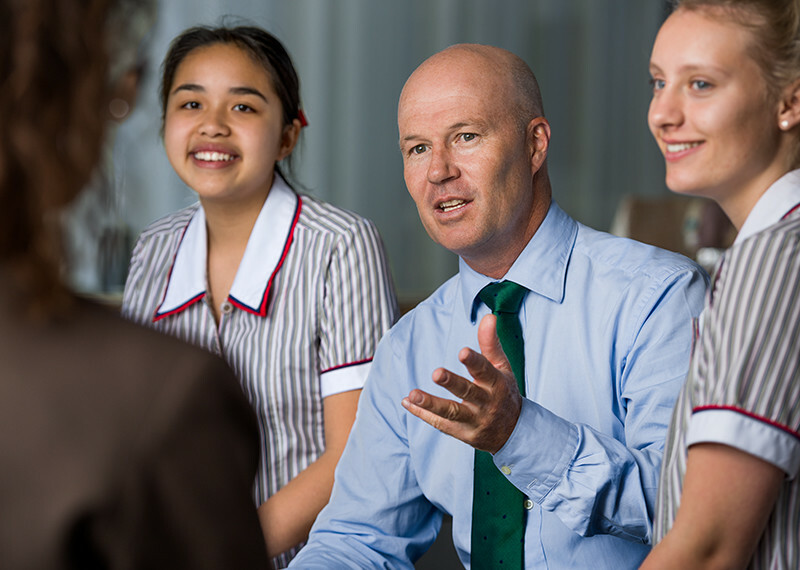 Leadership at Ascham is an integral part of the Senior School educational journey. We want Ascham girls to be resourceful and proud of their role in the world, becoming the leaders of tomorrow and helping to shape the society they live in. 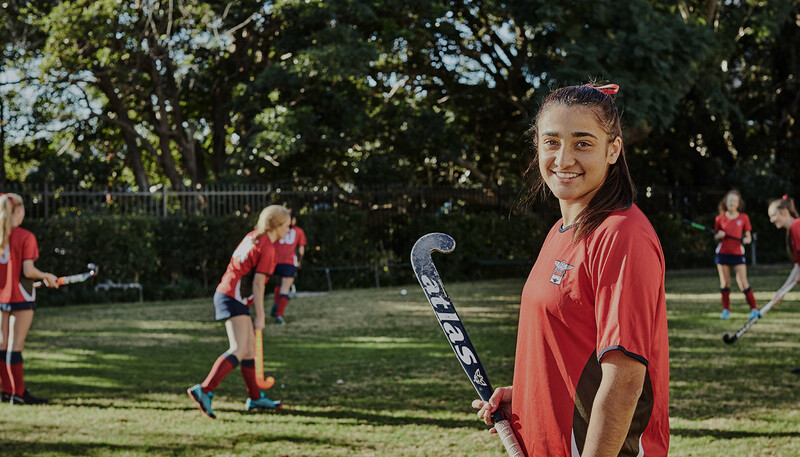 Ascham aims to build a culture of leadership centred around community, where girls are trained in the skills needed to lead. There are many valued leadership positions available, each with a number of duties and responsibilities. These include the School Committee, Portfolio Committees, House Chairs and Representatives, and Captains for Sport, Music, Debating, Speech and Drama, Chess and Public Speaking. Strong relationships in Senior School help build self-confidence, kindness and a sense of community. Our peer programs give girls the chance to enhance these personal skills by creating bonds across different year groups. Buddy program: Year 12 girls are buddied up with girls in Year 7 to ensure the younger girls have a familiar face and a friend when they first start high school. Peer Tutors: Peer Tutors are a group of Year 10 students who support Year 7 and 8 students with their learning. Peer Mentors: Peer Mentors are a group of Year 9 students who support Year 7 students with their planning and organisation. Sisters groups: The Sisters groups are small vertical groups of girls from each House who meet regularly to take part in general knowledge and trivia quizzes, buddy groups and peer support. These groups provide younger girls with a strong support system with girls from every Year group. 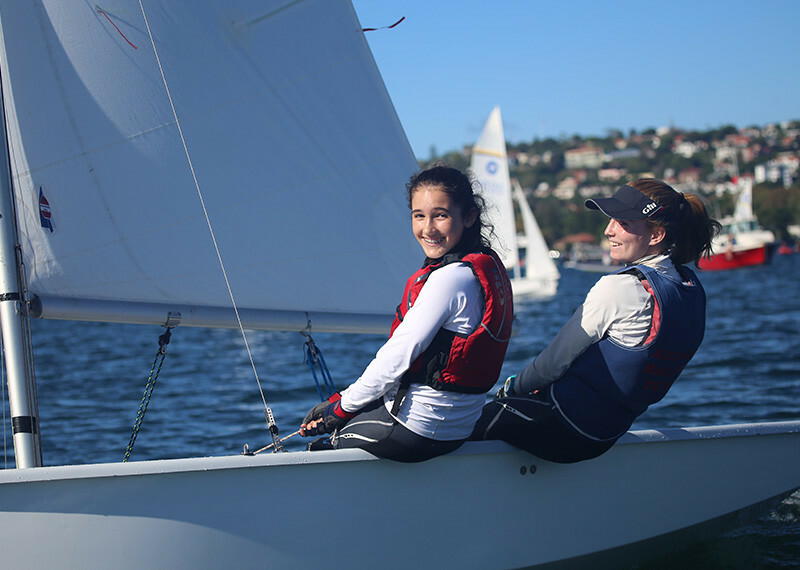 Ascham girls understand that a well-rounded life is important and maintaining a balance brings greater enjoyment and benefits. 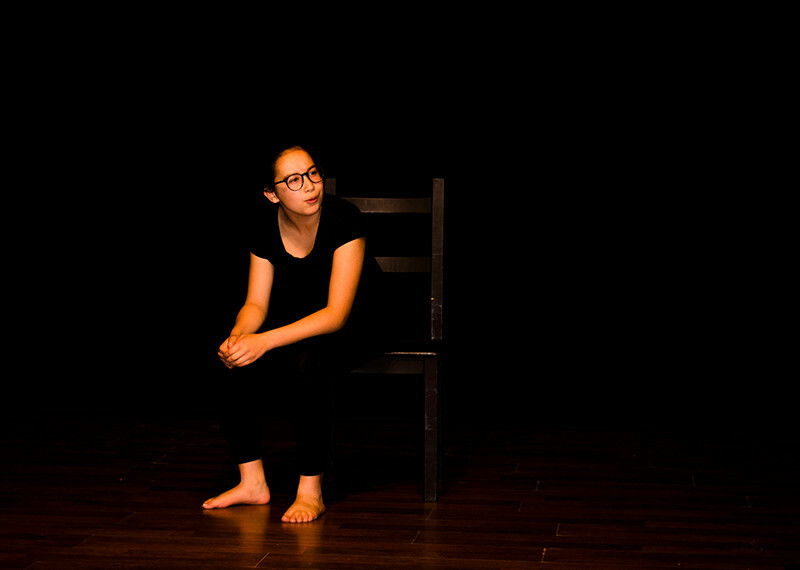 Senior School girls are actively involved in contributing to school life through a wide range of co-curricular activities including sporting teams, Music groups, Clubs and Drama productions. 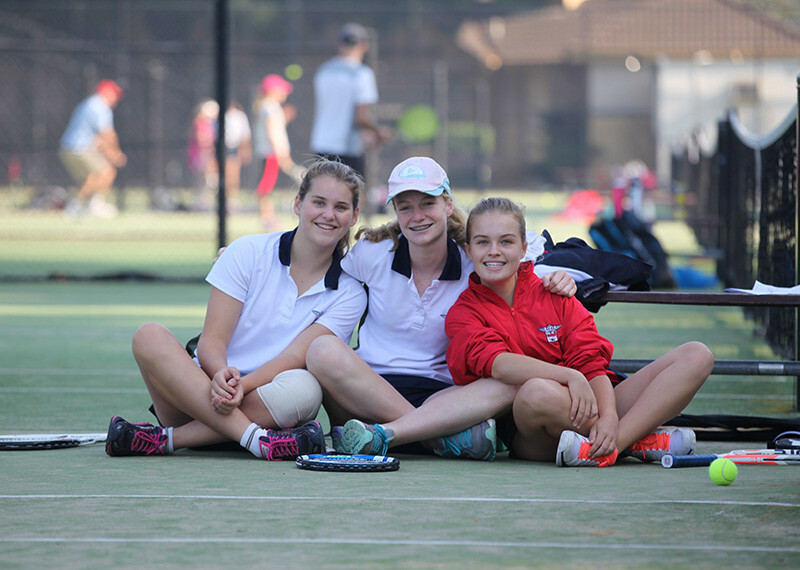 Participation in sport at Ascham is an integral and enjoyable part of our girls’ daily lives. 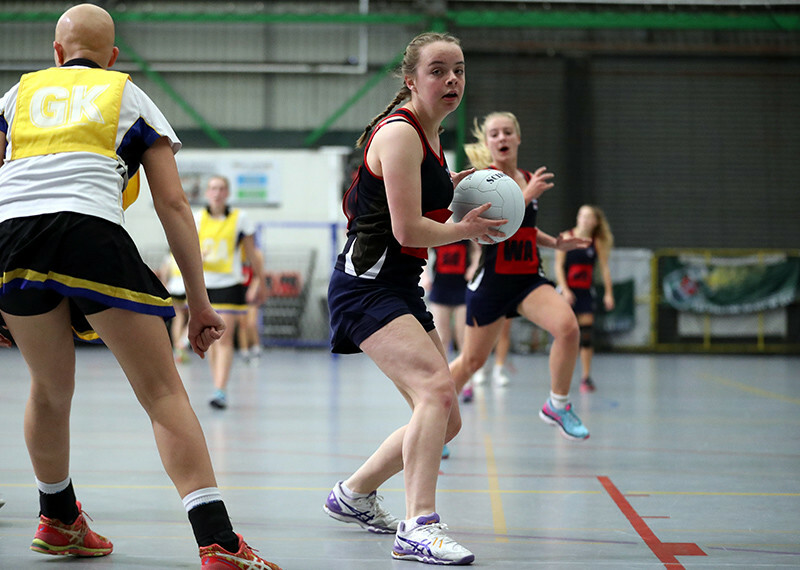 Backed by a strong team of coaches, we provide girls with the opportunity to participate in a safe and enjoyable sporting environment. We are proud to offer an inclusive program that ensures each girl who wishes to participate has a place in a team. Our approach aims to instil discipline, focus and integrity, whilst also promoting the importance of teamwork, commitment and lifelong physical activity to personal growth and development. 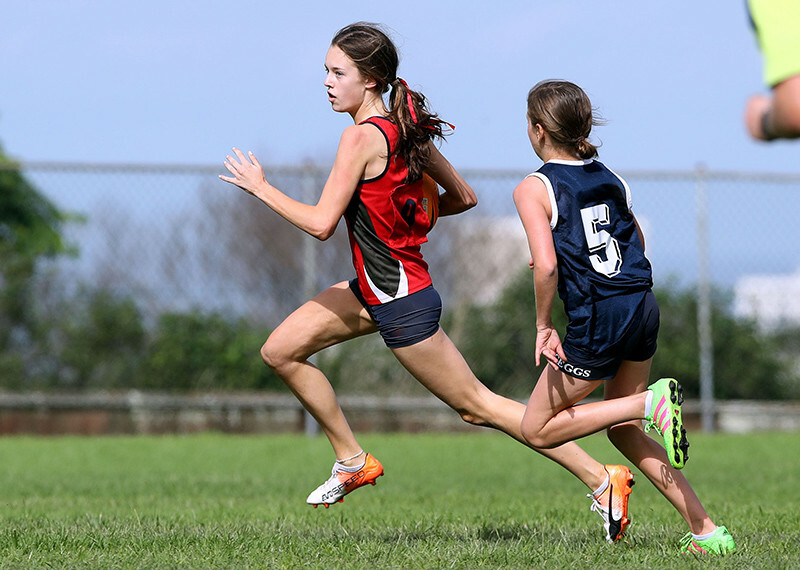 Our comprehensive sporting program includes Athletics and Cross Country, Basketball, Diving, Equestrian, Fitness Football, Gymnastics, Hockey, Netball, Rowing, Sailing, Snowsports, Swimming, Tennis, Touch Football and Water Polo. 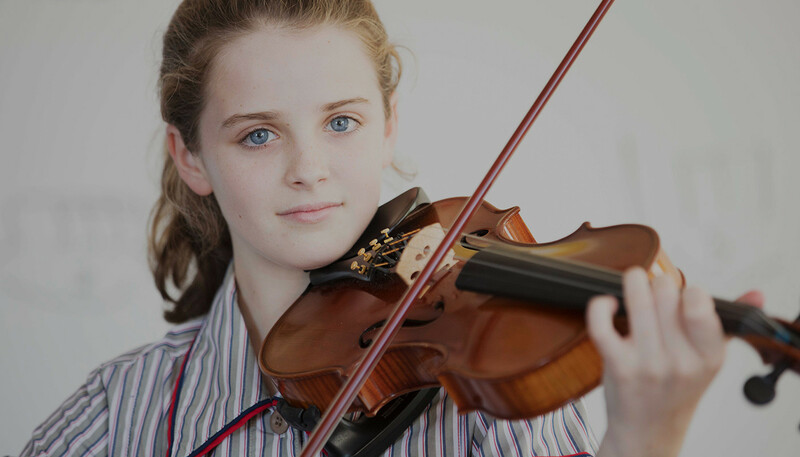 Senior School offers many opportunities to encounter and appreciate music in a wide variety of forms and styles. We encourage girls at all levels to participate actively in the musical life of the school, in a range of vocal and instrumental ensembles working towards performances in assemblies, recitals and formal concerts. The classroom music program places a strong focus on participation in performance, singing and group work. Courses are streamlined to meet the girls’ needs. The Kodaly method is continued as a basis for pedagogy but expands into varied topics and methods. Elective Music is offered in Years 9 and 10. Music 1 and Music 2 are offered in Year 11 and 12. On approval, students can study Extension Music in Year 12. Private lessons are offered in an extensive range of instruments including: piano, violin, viola, cello, double bass, flute, clarinet, oboe, bassoon, trumpet, trombone, euphonium, french horn, percussion and guitar. 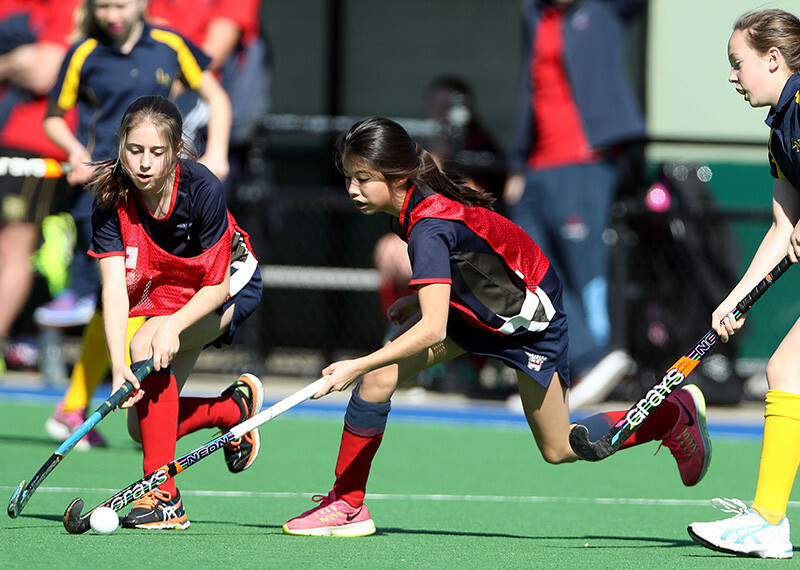 Many other learning and performance opportunities are available to girls at Ascham. Girls participating in choirs and instrumental ensembles attend the Annual Senior Music Camp in Term 2, which culminates in a concert at the end of Term 2. Other performance opportunities include an annual Strings, Brass and Woodwind and Choral Concert, Twilight Concerts, Vocal Recital and Chamber Concerts. There is also a biannual Senior Musical and the Australian Combined Schools Music Festival for students who perform at a high enough level. 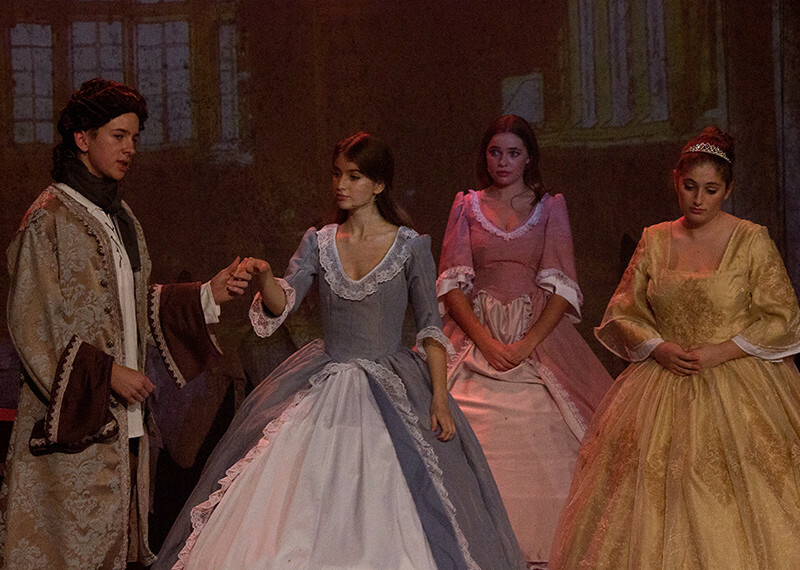 Students learning an instrument or voice at Ascham are encouraged to participate in an ensemble. The Symphony Orchestra is an auditioned ensemble that consists of the more advanced players from many of the other ensembles in the School. 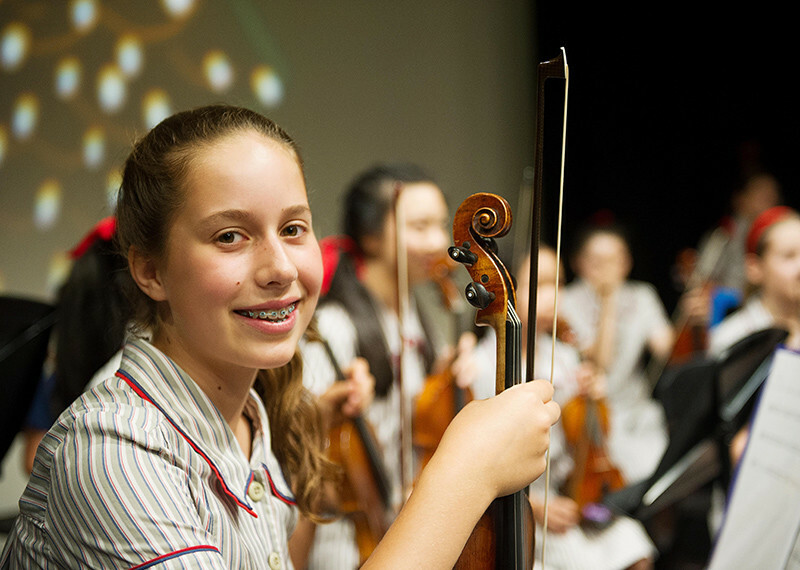 Ascham Strings is a string ensemble open to string players from approximately AMEB Grade Two to Five. Sinfonietta is a string ensemble open to string players from approximately AMEB Grade Five to Eight. Camerata is a chamber string orchestra, comprising highly advanced players of approximately AMEB Grade Eight or above. Guitar Orchestra is open to guitar students who have a secure level of sight-reading. This ensemble enables girls to develop their ensemble and performance skills. Senior Concert Band is an ensemble open to all wind, brass and percussion students at a level of approximately Grade 2 or above. Students in their third year of study will also be considered. Ascham Wind Symphony is an auditioned ensemble for all wind, brass and percussion students in the Senior School. The level is approximately AMEB Grade 5 or above. 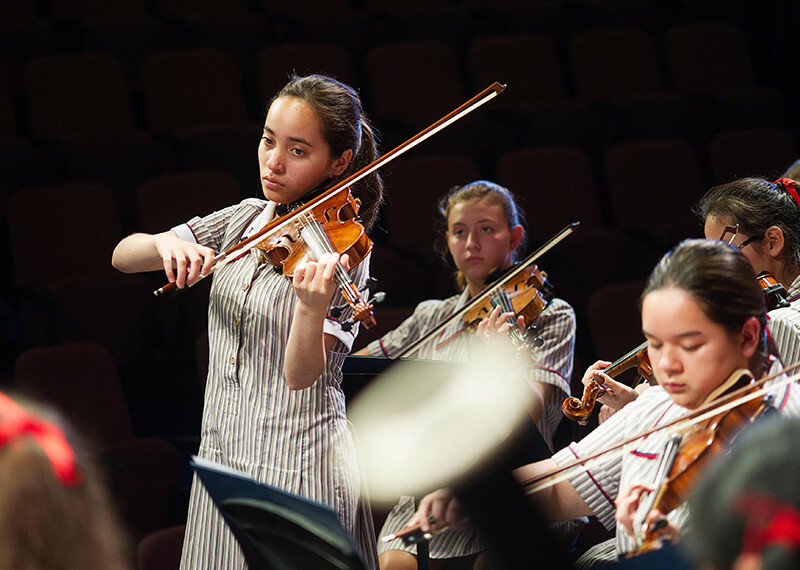 Ascham also offers a vibrant chamber music program for a large range of instruments. We encourage our pianists to join in chamber groups to broaden their ensemble experience. We offer all Senior girls the opportunity to participate in Junior Choir (years 7-9) or Senior Choir (years 10-12). Auditions are held for voice placement only and all students are offered a place. These choirs often participate in the annual Sydney Eisteddfod. Ascham offers three auditioned chamber ensembles for voice. These girls perform at a high level and frequently perform in concerts and eisteddfods. Girls in these ensembles are also members of Senior or Junior Choir. This is an auditioned ensemble that consists of dedicated choristers from Years 6–12 who commit extra time to their vocal work. This group is regarded as one of our flagship choral groups which enters eisteddfods and has toured overseas. Leaving school for university or begin a career is one of the great adventures life has to offer. 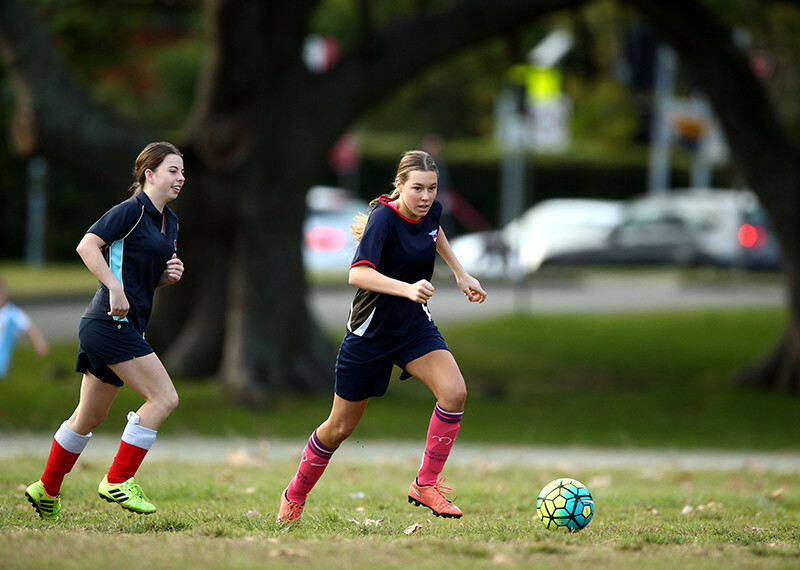 Ascham is extremely passionate about helping each girl to manage her transition to higher education and to make informed decisions about her future beyond high school. Girls are given support to research a wide variety of tertiary institutions, and Ascham offers significant support and preparation for applications to NSW, interstate, US, UK and European universities, with access to regular careers assessment, university visits, interview practice and guest speakers. As a key point of difference, girls also participate in annual compulsory work experience, giving them invaluable exposure to professional life. Girls are encouraged to sit the SAT (Scholastic Assessment Test) if they are interested in the US tertiary education system and assisted with Oxbridge applications and for other tertiary institutions in the UK.